"Hare Krishna" Film Toronto Premiere - Sep 8-19, 2017 ~ The Toronto Hare Krishna Temple! 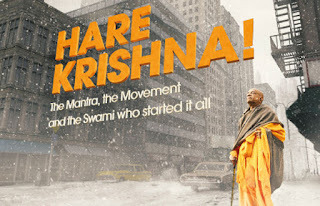 The Toronto Hare Krishna Temple is very excited to announce that the hit film "Hare Krishna! The Mantra, the Movement and the Swami who started it all" is having it's Toronto premiere from Friday, September 8th through to the 19th at the historic Hot Docs Cinema located at 506 Bloor Street West. There will be two special screenings of the film on Friday, September 8th (6:30pm) and Saturday, September 9th (6:30pm) where the film's directors Yadubara Dasa (John Griesser) and his wife Visakha Devi Dasi (Jean Griesser) will be facilitating short Q&A sessions after the movie. Book your tickets today by visiting this Hot Docs Cinema website! Suddenly thrust into the raging counterculture movement, Prabhupada speaks of the world’s real need, which is not necessarily satisfied by political or social revolutions, but by a revolution of consciousness. This divergence from the status quo successfully captures the attention of a generation of youth seeking answers to life’s existential questions. From a tiny storefront on 26th 2nd Avenue, Prabhupada shares with them the idea that the way to find real happiness, love and freedom is to search within and connect to your true self. All this, the Swami says, begins by simply chanting a rhythmic, meditative 16-word mantra – Hare Krishna, Hare Krishna, Krishna Krishna, Hare Hare, Hare Rama, Hare Rama, Rama Rama, Hare Hare. This universal message resonates with more and more people, including musician George Harrison whose hit song ‘My Sweet Lord’, features the Hare Krishna chant. 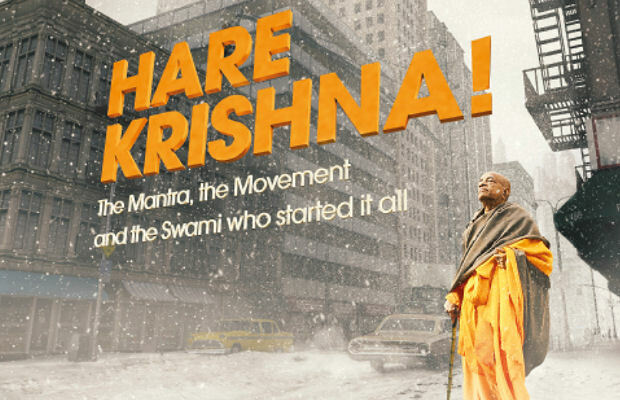 From there, Prabhupada’s movement explodes, and his followers – now known as the Hare Krishnas – become infamous for chanting and dancing in the streets. Hare Krishna! is the true story of an unexpected, prolific, and controversial revolutionary. Using never-before-seen archival verite, Prabhupada’s own recorded words, and interviews with his early followers, the film takes the audience behind-the-scenes of a cultural movement born in the artistic and intellectual scene of New York’s Bowery, the hippie mecca of Haight Ashbury, and the Beatle mania of London, to meet the Swami who started it all.